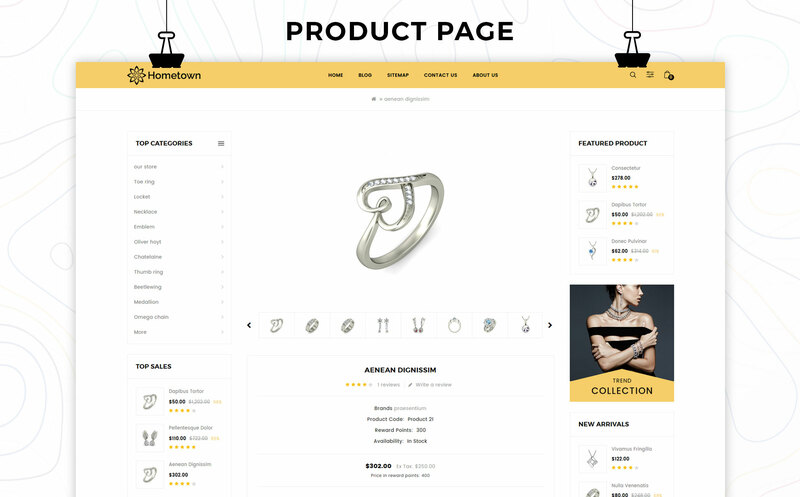 Hometown Responsive Opencart Theme is generally designed for Jewelry store. 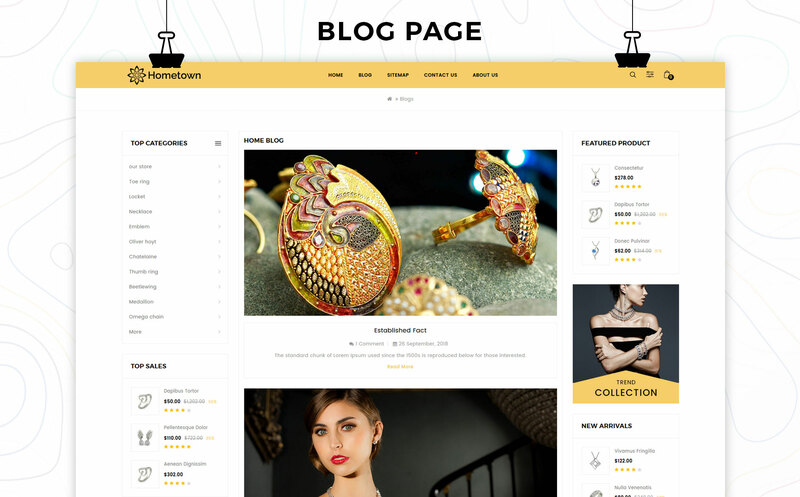 A clean, modern, responsive design that will make your content shine. 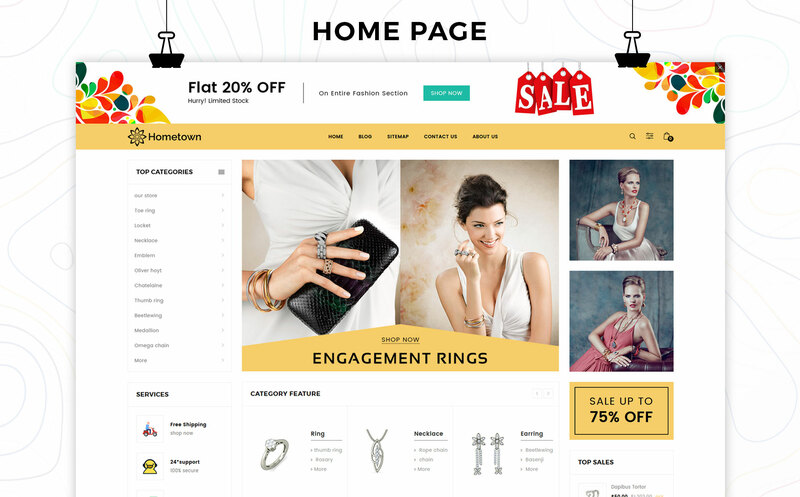 Theme support RTL, multi-languages, multi-store websites. 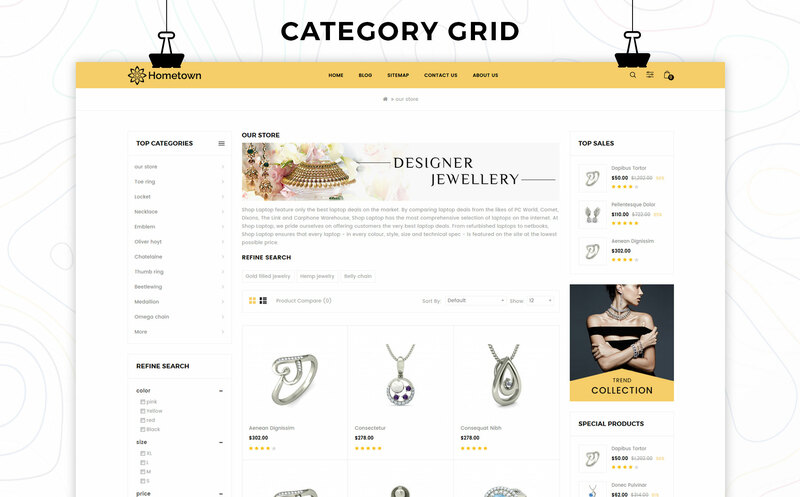 Powerful, advanced & customisable theme admin options. 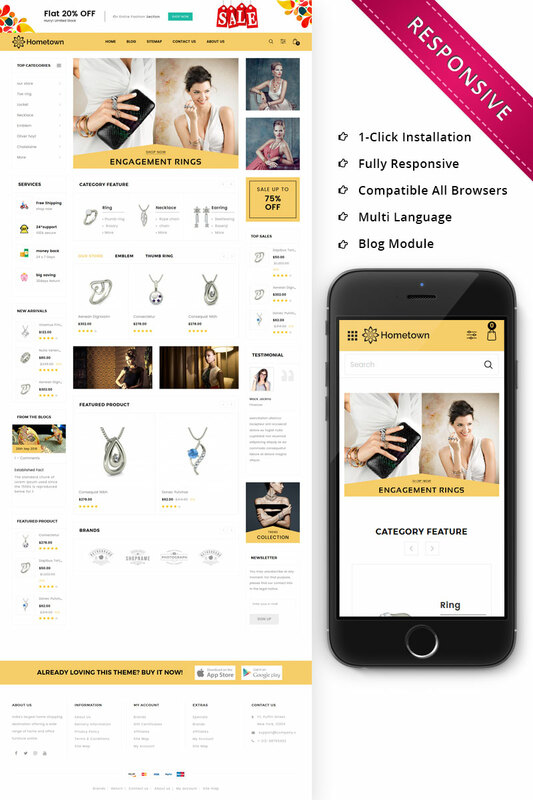 Template is designed as general, popular, common, material design and easy to use styles. 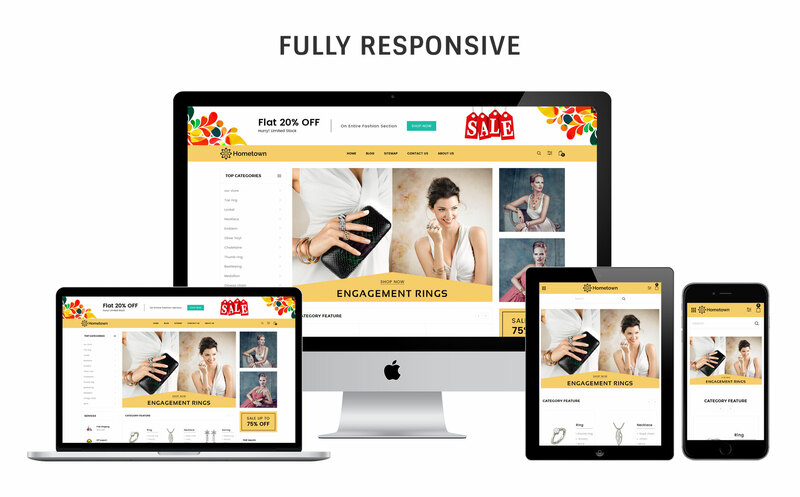 Itâ€™s 100% super responsive and it works nicely on smart phones, tablet, & desktops.